David Dowell is a senior partner and Chief Operating Officer of our firm. He began his career in 1982 with JJB Hilliard, WL Lyons, Co. He moved to Lexington, Kentucky in 1990 to manage the local office of JC Bradford & Co, which was subsequently purchased by UBS. In July of 2004 David joined Russell Capital Management. As a wealth advisor he works very closely with his clients and their families to help them meet their financial and life goals. He has actively supported numerous community efforts in the arts, education and the church. 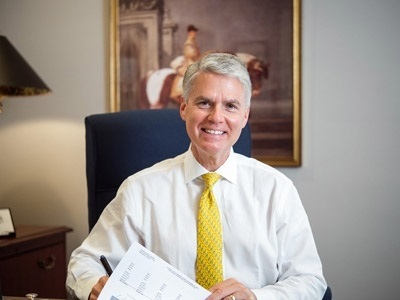 Among others, he has been a member of the board of directors of the Headley-Whitney Museum, the Lexington Hearing and Speech Center, the Lexington Philharmonic and the Lexington Rotary Club. David was appointed by the Governor to serve on the Commission to evaluate the Public Employees Retirement Systems. A 1975 graduate of Washington and Lee University, David has served a president of the W&L Bluegrass Alumni chapter. He has an MBA from the Thunderbird School of Global Management, and has participated in the Leadership Program at the Owen Graduate School of Business at Vanderbilt University. David is married to Melanie McLendon Dowell and has three grown children. He enjoys travel, working in his flower gardens and walking with Melanie through their Chevy Chase neighborhood.